The United States was badly outnumbered in the General Assembly. There were just 67 countries who could be said to be on “our side” in that they didn’t vote against our position. No, I was referring to the General Assembly’s greatest disgrace, its 1975 vote deciding that “Zionism is a form of racism.” Then the vote was 72 in favor to 35 against, with 32 abstentions. So we had 67 on “our side” back then—but the UN membership was then 144 countries, about 50 lower than now. Otherwise put, the 1975 resolution was supported by about half the General Assembly membership, but this week’s vote was supported by two-thirds. Thus is moral progress measured at the United Nations. No major country voted “No” with the United States. Some abstained, starting with Canada and Australia. There was some good news, in that several European nations (Hungary, Poland, Romania, the Czech Republic, Latvia, Bosnia-Herzegovina and Croatia) also abstained. So also did some in this hemisphere (Canada was joined by Mexico, Argentina, Colombia, as well as several Central American and Caribbean nations). Israeli prime minister Netanyahu’s diplomatic efforts in Africa paid off to some degree: Togo voted no, while Rwanda, Malawi, Uganda, Lesotho, Equatorial Guinea and South Sudan abstained, and Kenya was absent. Of course, many of those voting against the United States, from Syria to Cuba, Russia to China, North Korea to Venezuela, are hostile regimes whose vote is predictable and morally worthless. Nevertheless, the list of countries supporting the resolution is remarkable: supposed American friends such as the UK, France, Italy, Germany, South Korea, Belgium, Greece, Spain, Portugal, the Netherlands, Japan, and Denmark. Their vote was a gratuitous insult because this was a resolution in essence denouncing the United States, rather than the usual U.N. resolution against Israel. I well recall the 2005 cartoon controversy, when a Danish newspaper published a caricature of Mohammed and Denmark’s embassies were threatened across the globe. The Danish prime minister said this was Denmark’s worst international relations incident since the Second World War. Denmark turned to the United States for help. We gave it. Gratitude appears to be a wasting asset. What would it have cost them all to abstain? The text includes for example this preambular language: “Bearing in mind the specific status of the Holy City of Jerusalem and, in particular, the need for the protection and preservation of the unique spiritual, religious and cultural dimensions of the City….” This is odious because the United States obviously always bears this in mind, as does Israel—which in fact has protected the Old City and kept its religious sites open to all. Prior to 1967, Jordan despoiled Jewish religious sites there and prevented Jews from visiting them, a situation about which the United Nations never once protested—of course. Some will argue that it is unfair to compare these two resolutions. I think not. 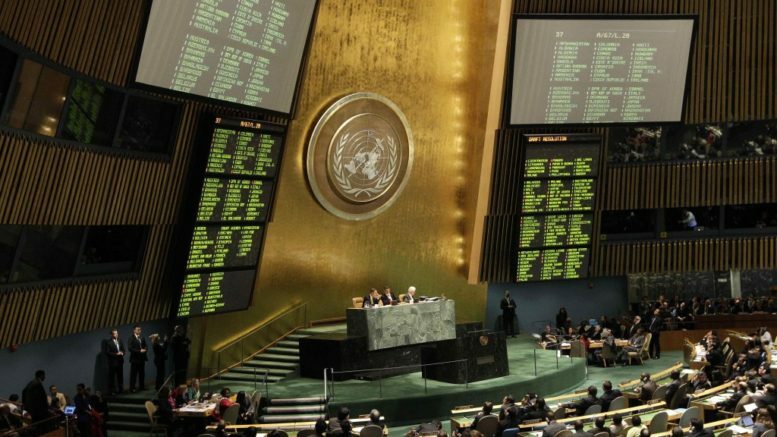 Both continue the General Assembly’s record of infamous maltreatment of Israel. No other country has ever been singled out for abuse in such a manner, and now the United States is abused for the crime of acknowledging the obvious: that Jerusalem is Israel’s capital. Only one nation on earth is not permitted to choose its capital, and the refusal to allow Israel that right is part and parcel of the delegitimization campaign against Israel of which this resolution is itself a part. Now what? The United States has said there will be a price to pay for insulting us in this way. Withholding aid is unlikely to be the way forward. There are too many cases where humanitarian aid is needed and there is no reason to punish desperately poor people because of a vote their rulers made. In other cases American security interests are too important. But there are ways to make our displeasure known, such as canceling or delaying the visit of a top-level American official, or the visit to the United States by a foreign official. Downgrading ties quite informally is also possible: some foreign minister comes, and finds that unaccountably the President, National Security Advisor, and Secretary of State are unavailable, and that the mid-level officials who are available have just a few minutes rather than the time requested. Requests that are too important to deny can be slowed down. A creative diplomat will find plenty of ways to show that we remember and resent this gratuitous insult to our country. 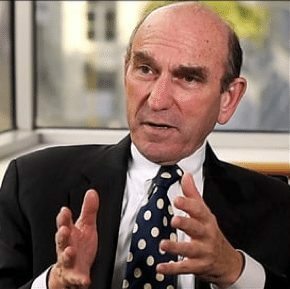 Elliott Abrams is a Senior Fellow for Middle Eastern Studies for the Council on Foreign Relations, He served in foreign policy positions for US Presidents Ronald Reagan and George W. Bush. Mr Abrams visited Auckland in 2015 and talked about settlements, the Syrian refugee crisis, and anti-Semitism. This article was originally published by the Council on Foreign Relations. Reprinted here with kind permission.